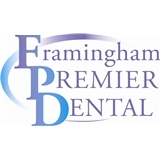 Framingham Premier Dental (Framingham) - Book Appointment Online! Framingham Premier Dental is an innovative and patient-centric practice that is headed by Dr. Marianna Gaitsgory. With attention to patient comfort, dental detail, and emphasis on the oral-systemic connection, Framingham Premier Dental offers its patients excellent, thorough dental care. Framingham Dental provides its patients with restorative, preventive, and cosmetic dental solutions. From young pediatric patients to adolescent and adults, Dr. Gaitsgory and her team have a tailored, comfortable solution for every mouth, in every circumstance. For your oral health maintenance, Framingham Dental provides cleanings, deep cleanings, sealants, and fluoride treatments to ensure the regular, 6-month care and keeping of your teeth. When your mouth needs to be restored, Framingham Dental approaches all restorative procedures with care and comfort as a priority.